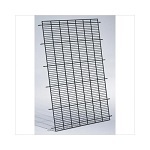 To order the METAL 9PAN Dog Crate Tray click here as this page is for the PLASTIC 9PAN! 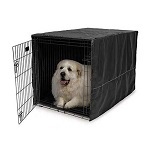 Dog Crate Pan Size 41" x 27 3/8" x 1"
Are you looking for a metal dog crate tray to replace a the plastic Midwest 9PAN? We have contracted with a metal dog crate tray manufacturer in the USA to make the same size dog crate tray in a metal version. See the CMP_9PAN_METAL dog crate tray.